Come to us, customers can believe in diversified services provided along with the best-qualified products by professional and talented technicians. 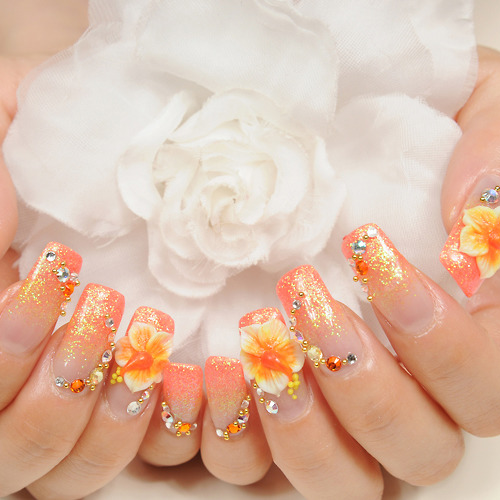 Your beauty will be rejuvenated thanks for nails with simple floral but beautiful and charming patterns. Your hands and feet are also taken care of by suitable therapy method at competitive prices. Especially, with a long time of working in this area, we understand deeply what your expectation is and always try our best to give you the most satisfaction when using any services. Clean and beautiful space would make you feel comfortable, relaxing, all of your fatigues and tiredness will immediately fade away! The art of beauty awaits you at Allure Nails & Spa!